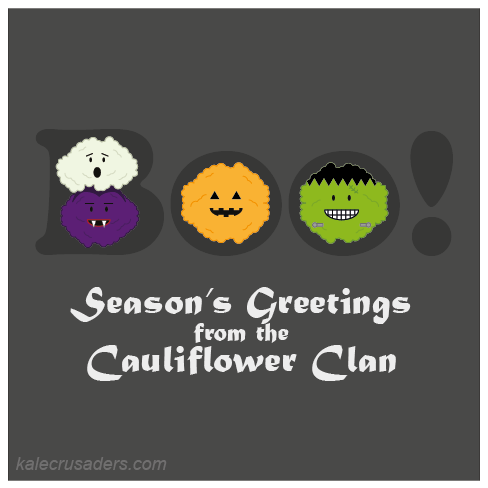 Purple, orange, green, and white cauliflower are in season right now and they just scream Halloween! Or maybe it is just us? Embrace multicolored cauliflower and soup season with this gorgeous Rainbow Cauliflower & Basil Chowder by Yvonne and Julie at The Alkaline Sisters. Happy Halloween! 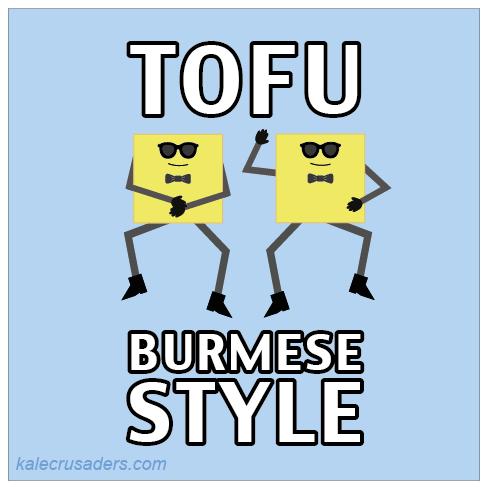 Teff is just begging for puns and cartoons! Teff flour just happens to be a gluten-free and provides a nice stand-in for traditional flour. 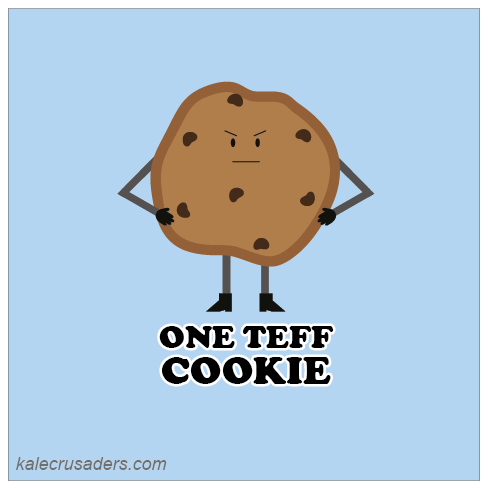 During our exhaustive search for teff cookies, we noticed that peanut butter and teff are commonly paired together, as illustrated by these Peanut Butter Chocolate Chip Teff Cookies by Leslie Cerier. If peanuts are a no-go for you, most other nut butters, including the always allergen-friendly sunflower butter, would be a proper substitute for peanut butter. The humble oyster Mushroom is an incredible stand-in for both carnivorous land animal dishes, such as Vegan "Pulled Pork" Sandwich by CJ Bruce at Vegetarian Dude and seafood dishes like Vegan Crab Cakes by Monique at Brown Vegan. 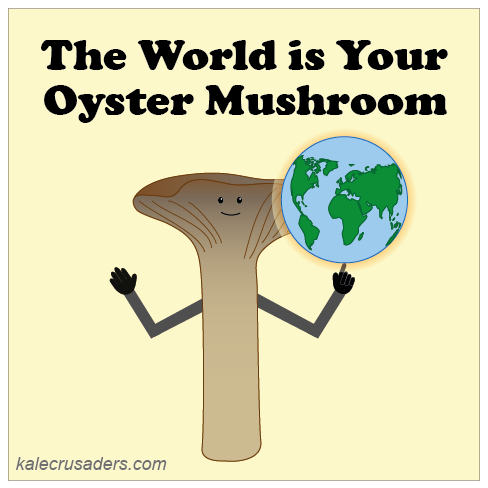 Have you taken the plunge into the world of oyster mushrooms yet?